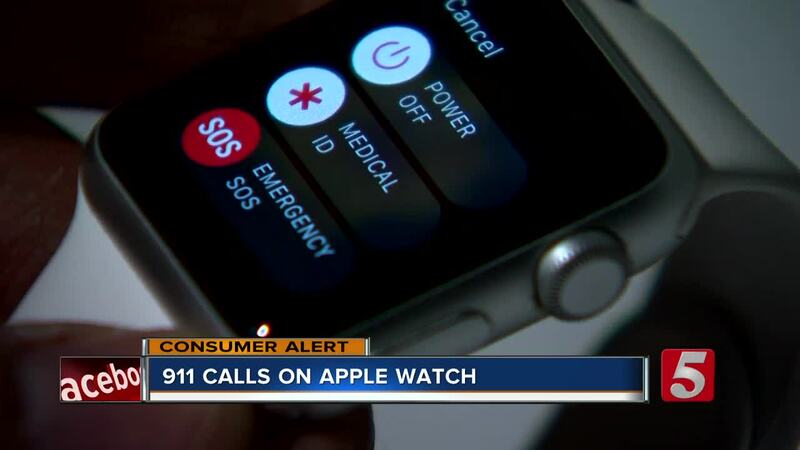 The Emergency SOS feature on the Apple Watch automatically calls the local emergency number. But if you're not careful it can happen by mistake. The SOS button is on the right side of the smartwatch. It is sensitive and can call 911 while changing out the wristband or working out..
"I was leaving the gym as a Hendersonville police officer showed up," Abbie Rice, owner of 9Round kickboxing in Nashville, Tennessee said. "He let me know someone's watch had sent a distress signal...anytime we're doing anything repetitive it's a risk I guess." At least 58 accidental 911 calls were made to Sumner County, Tennessee's dispatch center in 2018. "They treat it like it's just any other phone call," Hendersonville Police Sgt. Jeffrey Brewer said. "We will respond out and check on everybody whether it was an accident or whether it was on purpose." Susan Slay said police showed up at her New Year's Eve celebration because she accidentally hit the button. "[An officer said] 'we have a lot of calls come in from the Apple Watch,'" Slay said. "I had no idea that this feature existed." There is a way change the settings so that the side button won't call emergency services. In the Watch app on the iPhone tap "Emergency SOS" then "turn off Hold Side Button."